I met Lily in April while walking through our local shelter. She was estimated to be only about six months old, I fell in love. I rescued her. I didn't know anything about her past but I sure knew her future! She is a very sweet energetic friend. 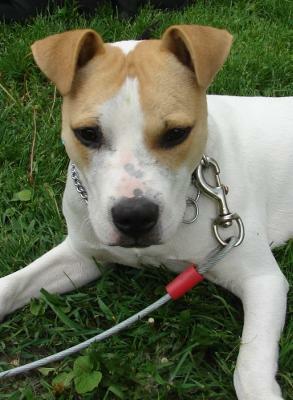 Lily is currently in obedience training, and she is the class clown, everyone loves her!